Last night I was thinking about uncontacted peoples which, for some reason, I devote a surprising amount of time to…from time to time. Like many others I have a dark fascination with isolation. The idea of existing without the ‘world’ is intoxicating. 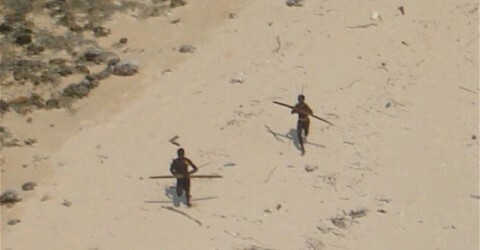 Clearly that term ‘uncontacted’ is used liberally, such as with the Sentinelese. The Sentinelese have been contacted quite a bit, they just want everyone else to stay the hell away. They seem quite in charge of the situation, however their aggression makes them more alluring. Why do they like red buckets but not green? Why? I both want to know and want them to be left to their island. Article 31.II. The indigenous original nations and peoples, in isolation and not contacted, enjoy the right to maintain this condition, through the legal definition and consolidation of the territory that they occupy and inhabit. On further reflection, which is always dangerous, I started to think about “citizenship” and what it supposedly offers. Bolivians, so says the constitution, are promised and required to engage in free public education. Healthcare is also promised and while indigenous medicine is fully recognized, the constitution promises the regulation and safe administration of it. Among other things, Bolivians are required to be familiar with the constitution and to this goal, there was an audio version of it released, and so on. So think about it: the constitution provides certain things for all Bolivians and absolutely promises and requires things like education, HOWEVER uncontacted and isolated groups “enjoy the right to maintain” this status and thus will not get the constitutionally mandated things. Neither will they be able to do the things required of all Bolivian citizens like be familiar with the constitution. Basically they are a class of Bolivians governed by the law and outside of it. And how about the phrasing “enjoy the right to maintain” isolation. Yes I truly believe that we should all leave them alone to do their thing, but the wording implies a decision, that constitutionally they can choose to “maintain this condition” over the other options. But there is no choice involved, despite promises of universal education and healthcare, the decision has been made by someone else that the isolated peoples’ condition SHALL be maintained for them. Please let me emphasize again that I think uncontacted peoples should be left alone and that all illegal loggers and everyone involved in rainforest oil should be sentenced to 50 years aboard a slow moving Greek island ferry, with no ticketed seat, surrounded by mean old ladies in support stockings and spoiled crying children. I am just squirming at the creation of a state in which these people are official citizens with official rights and requirements that in reality they do not have or know about. A constitutional right to isolation for people without a constitution and without the means to actively exercise or revoke that right. Decisions made for people who do exist by people who might as well not exist (to the isolated people at least).